Procol Harum. Anyone who came of age in the sixties, as I did, knows that they were the band who penned and played A Whiter Shade of Pale, a song whose popularity is legendary, whose sales are said to exceed eleven million copies world-wide. I walked down the aisle to it, that blissful melody on a sunny July afternoon as much a part of the occasion as the presence of family and friends. The enormous success of the song has haunted the band ever since. Most people regard A Whiter Shade of Pale as Procol Harum's only notable achievement, dismissing them as a one-hit phenomenon despite a creative output that saw ten albums follow the release of that classic single. Listening to Procol Harum opened up the world for me. Their songs tell of pilgrims and sailors, of discovery and exploration, of the triumphs and tragedies of life and of love. Many a trip was taken in the solitude of my room, but others entailed actually going to hear them play. Concerts in Glasgow, my home town, or nearby Edinburgh were easy to get to. Concerts in London were not. Would I be able to hitch those 400 miles in time? Would tickets still be available? Would I be able to afford one? Where would I spend the night when the music was over? These were undergraduate student days, so resources were limited. The journey south, however, was never made in vain. A lift materialized, I arrived before the show began, a ticket was secured, and the night gave way without too much discomfort to a morning that saw me head home replenished and refreshed, in spirit if not in hours of sleep. I even heard Procol Harum play in Canada, after I moved to Alberta as a graduate student. Between 1970 and 1975, concert excursions took me from the Green's Playhouse in Glasgow to the Jubilee Auditorium in Edmonton. Five years in time, an ocean and a continent in space. Procol Harum, as a common interpretation of the band's Latin name indicates, was indeed "beyond these things." After the band broke up in 1977 there followed a lengthy silence. In 1991, however, four original members got together and recorded The Prodigal Stranger. This wonderful album re-launched Procol Harum as a touring outfit and allowed me to hear them six more times, at venues ranging from the Paradise Club in Boston to the Greek Theatre in Berkeley. 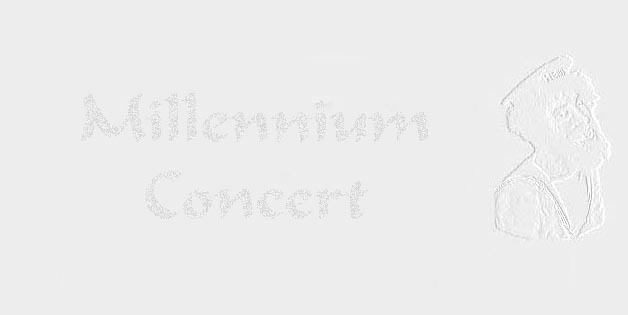 No concert excursion in the nineties, though, prepared me for my millennium experience. When my brother called to tell me about the concert I immediately thought "Impossible!" The date fell right at the beginning of a busy teaching term. Then, as I surfed the 1,900-page Procol Harum webpage, it became apparent that this was going to be no ordinary event. A convention was planned to precede the concert, featuring an illustrated talk on cross-cultural cover versions of A Whiter Shade of Pale, assiduously tracked and recorded by Dr Sam Cameron of Bradford University. The concert itself was to be performed with the New London Sinfonia and the Occam Singers and would end not with an encore but a display of fireworks. Procol Harum fans were making a pilgrimage from all over the world, from Australia and New Zealand as well as Mexico and Peru. Surely I could get over to England from Canada, if only for the weekend. I did. A packed charter flight took me from Toronto to London and a rented car, only half-full of gas because of a fuel strike, from London to Guildford. The convention, attended by over one hundred "Procoholics," was about to begin. I marvelled at a poster presentation drawn from the Procol Harum archive of Frans Steensma, Dutch musicologist and editor-in-chief of OOR Rock Encyclopedia. Gary Brooker, the band's pianist and musical inspiration, made a surprise appearance and recognized me from an after-concert gathering in Nottingham five years ago. "Hello George! Nice to see your smiling face. Where's your brother?" Gary laughed and cried through the performance of an assortment of fans who formed a makeshift band to play his music. At one juncture in the merry-making he took over the piano himself, treating us to a song called A Rum Tale, which went over with all those in attendance as well as whatever it was they were imbibing. In the wee small hours a late-night breakfast sustained us through historic footage of Procol Harum on film. Throughout the bright, balmy Sunday that followed, the outdoor forum at Stoke Park on the outskirts of Guildford saw a variety of acts lead up to the main attraction. When, towards eight in the evening, Procol Harum took the stage, it was my thirteenth concert with them in thirty years. They played Conquistador, a song whose imagery of dreams and disillusion propelled me to leave Scotland, study in Latin America, and write about the Spanish conquest. They played A Salty Dog, its aching beauty only enhanced by the Latin chants of the Occam Singers. And of course they played A Whiter Shade of Pale, all four verses of it, not only the two that were recorded in 1967. When the lushly-orchestrated Grand Finale wound down, with an autumnal moon majestic in the sky, the fireworks exploded and the heavens resounded. Forty-five hours after landing in England I flew back to Canada, skipping a light fandango, turning cartwheels across the floor, arriving home more jet-lagged than sea-sick. With the crowd calling out for more, I wonder where my next Procol Harum excursion will take me.